April 19, 2012 By Staff & filed under All Articles, Instructor Profile Series. David L. Williams began his almost 20-year career in law enforcement as a street officer with the Dayton, Ohio Police Department. He rose through the ranks and became known as an expert on criminal gang and occult activity. After retiring from the force as a lieutenant, he founded Miami Valley Law Enforcement Training, which has trained over 3,000 civilians in the Ohio Concealed Carry program and conducts law enforcement and private security training programs certified by the Ohio Peace Officers Training Commission. Williams has been sharing his first-hand experiences on the street with PDN readers and is one of our most popular authors. Here’s what he had to say in response to our Top Ten Questions for Trainers. Why did you decide to become a trainer? Working as a security officer with very little training or experience was the beginning of my education on the streets. I was involved in a shooting situation very early in my law enforcement career. The situation could have been deadly, but fortunately it turned out that no police officers were injured. That incident really rocked my world and the way I looked at tactical situations. Worn during my first shooting, this badge reminds me how dangerous things can be. My first assignment was in the busiest and most dangerous district in the city. There were shootings, high-risk warrants, felony stops, and car chases almost every day. We called it the Wild West because it was the west side of the city. Becoming a trainer with NRA Law Enforcement Activities Division expanded my credentials from Ohio to the national level. I learned from some really experienced officers and I watched some officers who were lazy and dangerous. At that point, I became an instructor to try to help keep officers alive. I learned early on that in this game, second place is a body bag. My last shooting was the result of an ambush attack on police officers at our District Headquarters. 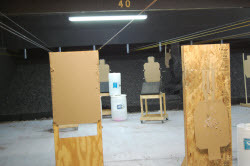 Over the years, I had requests from friends and civilians to teach them to shoot. I became certified by the NRA as an instructor and training counselor. When Ohio passed the Concealed Carry law, I began training civilians in very large numbers. Lots of people teach shooting — in what ways do you teach it differently? I have never taught “shooting.” I always believed in teaching all the tactics needed to win a gunfight, and also all the tactics for how to avoid a gunfight to begin with! Being a law enforcement officer who worked in dangerous tactical situations on a daily basis gave me some extremely valuable experience. I have seen firsthand, and as a first responder, the effects of combat. My experiences have given me the ability to speak with authenticity. The Medal of Valor was earned at a high price by others. One officer was killed and another seriously wounded during this shootout. How do you motivate students to learn while in a class? What type of person should your students expect to deal with when they train with you? Civilian class on movement and multiple targets. Adult students all have different motivations. I have been teaching many topics for many years, not just firearms. It is important as an instructor to try to understand why your adult students are there. Legally armed civilians who take my training are highly motivated and want to learn. They have chosen to take my classes and spent the money to get good equipment. These are generally the best students because they really want to be there. They concentrate and pay attention. Generally speaking they are already self-motivated. Experience as a police officer teaches the importance of firearms skills and tactics. These students give me the flexibility to really teach. Whether we are at a beginning level or into “advanced” classes, they almost always “get it” right away. That gives me the time to explain things like trigger press and move into trigger reset and why it is important. I have the time to talk about the difference between cover and concealment and why you need to use them. They actually motivate me to teach, because they want to be there. In turn they catch the excitement. My wife inspired many of my teaching techniques. We home schooled our children long before it was “cool” or there were many resources. She read, researched and studied educational techniques and curricula. I watched and learned from her efforts and applied that to law enforcement training. Law enforcement students during combat shotgun class. I am also inspired by the hundreds of law enforcement and military instructors I have met over the years. None of them have DVDs or websites. They go to work every day and work their hearts out to keep our protectors alive in a world that is becoming more dangerous. They work on dwindling budgets, with fewer resources but know their responsibility is greater and more difficult. They put up with stupid crap from administrators who don’t know the difference between a barrel and a buttstock. They network with each other, share ideas and keep each other motivated. They get bitched at during qualifications, yelled at during budget meetings, and blamed in court and the media if something goes wrong. These people are the heroes who keep the heroes alive. And who do you think are some of the best instructors teaching in your field today? I applied to write at the Personal Defense Network because I liked what I saw with Rob Pincus. I mentioned earlier that I teach other topics. I think it is important that a firearms instructor be more than just a shooter. You have to be an educator. Rob looks at the importance of adult education techniques and seriously examines why he teaches a particular method. All good modern firearms instructors do this. Modern instructors must read and stay informed of new information and techniques. There are very few new things under the sun, so you have to be able to present information in a concise and informative manner in the digital age. I have made it my goal to do this for years. Rob does this well. Understanding the business of adult education and communication. I also learned a great deal about the “business” of conducting training from a book many years ago. How To Make It Big in the Seminar Business gives some great practical advice on conducting training seminars. What can students expect to take away from your courses? Retirement from DPD resulted in a massive increase in the training I conducted. My civilian classes increased drastically with the passage of Concealed Carry in Ohio. Students get a real-world, no-holds-barred, practical lesson in staying alive in a dangerous world. I love to teach. I am passionate about personal defense. My experiences in several shootings and decades on the streets give me that authenticity. I believe in a practical approach to personal defense. I use the Latin phrase, Radicitus Parata. It means “radically ready.” Radical actually means “rooted,” so the idea is that personal defense is rooted into your daily life. You are prepared for whatever life throws at you. It becomes a way of life, not just a class you attend for a few hours. You make it your own to fit your lifestyle. Do you have a “typical” student? What is s/he like? I can’t say I have a “typical” student. As I said, all adult learners come to a class for different reasons. I always have introductions at a class and ask why they are there. Most say they want to know how to defend themselves and their families. Occasionally a student will be there for a very serious or tragic reason. If they are willing and comfortable to talk about it, this “teachable moment” can help heal the person and educate and motivate the class. Finding that motivation may help connect with the student. I have watched old dinosaur law enforcement instructors who were good shooters but bad instructors. I learned early in my career that everyone is different, and nothing is typical or routine. I use the baklava training theory. My Dad had a bakery and donut shop when I was kid. I guess I was destined to be a cop. There was a Greek bakery in the area and my parents went to it to trade baked goods. I watched them make baklava. I formed my training theory there, even though I thought I was just eating 10,000 calories of crazy sweetness. Running a gang unit as a lieutenant enhanced my tactical skills. This was not a desk job! Baklava is made by making a layer of thin pastry, then adding a layer of nuts, then a layer of honey, and another layer of pastry until it is about two inches thick. This is a time-consuming process, but when it is finished, it is very rich, sweet and tasty. I believe that is how we should conduct training. There has to be a base layer of certain knowledge. Things like safety, how the gun works, how ammunition works and other elementary items are the base for your baklava. That may make about a half inch in our imaginary baklava. It is all good, but it is not quite there yet. We need more. First steps in learning to shoot and move. Those small starting bites make the training digestible for a new shooter. They can learn those base subjects and walk away with a good taste in their mouth. Hopefully it will whet their appetite and they will want more. As a student progresses, you add to the layers of the baklava. Adding cover and concealment, movement while shooting, and reloading, can all make the baklava thicker and tastier. It can be done at the speed of the student as well. Some will bake more quickly than others. You can make your baklava as thick as you like. Looking ahead, what do you see in the future for yourself as a trainer? How about for your particular training industry? I have not taken the step into video training yet, but probably will soon. Using the baklava theory, which is really just modular training. I have plans to produce quick and simple videos for the basics of personal defense. Writing will continue to be a main thrust of my off-range training. The power of the written word is strong and long-lasting. Combining that with the video training should be very complementary. I also write training curricula. This is a different style of writing but is a good foundation for any training program. It is also important to document training for the legal defense of students and instructors alike, and insures consistent training from class to class and with different instructors. 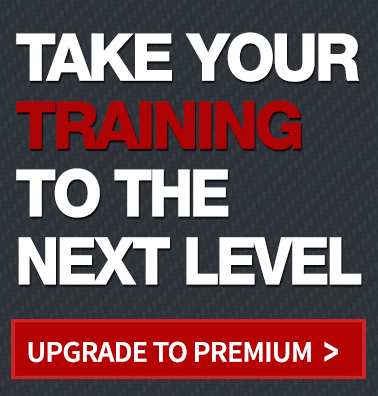 The firearms training industry in general is booming. I am working toward professionalizing my small part of that big world. What is something that you’ve changed your mind about and why? Something that you used to teach but now realize isn’t the best thing to teach your students or possibly a technique that you have replaced with something better? There has been an evolution in training over the years that has become more scientific. My thought process has evolved with that as well. Some of it has gone full-circle back to the old days. Multiple targets and the running man. Students start in the open, engage the close targets, and move to cover. The three targets simulate the movement of a single suspect from one location to another. Modern trainers are more like good educators than just good shooters. Years ago, some instructors would “just do it” and not explain how and why “it” happened. Now we think more about how the body and mind react under stress and how they are connected. We teach. I may have to “show” how something is done, but I don’t want to “show off” in the process. The modern instructor is more about success and less about ego. And yet, what is old has become new again. When we carried revolvers, we knew we had to be accurate because we had limited ammunition. Semi-autos created a “spray and pray” attitude in some instructors. Accuracy is becoming king again. A .22 and a .45 both have the same stopping power if they miss. Tools of the trade on the range. Probably the thing that is reinforced in my mind and has never really changed is that an expert is someone who has mastered the basics. An expert has really thick baklava.